Phoebe Avery has always been a lucky girl. Popular, smart, and beautiful, Phoebe has it all. She's even planning the hottest party ever with her four best friends to celebrate their middle school graduation. 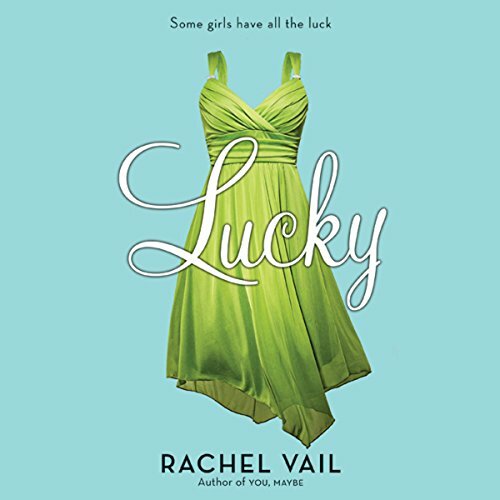 With the perfect green dress picked out at Neiman Marcus and half her class clamoring for invites, plus a new guy to crush on, Phoebe could not be in a better mood...until it looks like the party might be over before it can even start. When Phoebe's family is suddenly faced with losing it all, she discovers that there is more at risk than just her designer jeans. In a town where gossip rules, Phoebe needs to keep everything a secret, or she may lose her friends too. Can lucky Phoebe really be out of luck? ©2009 Rachel Vail (P)2010 Audible, Inc.